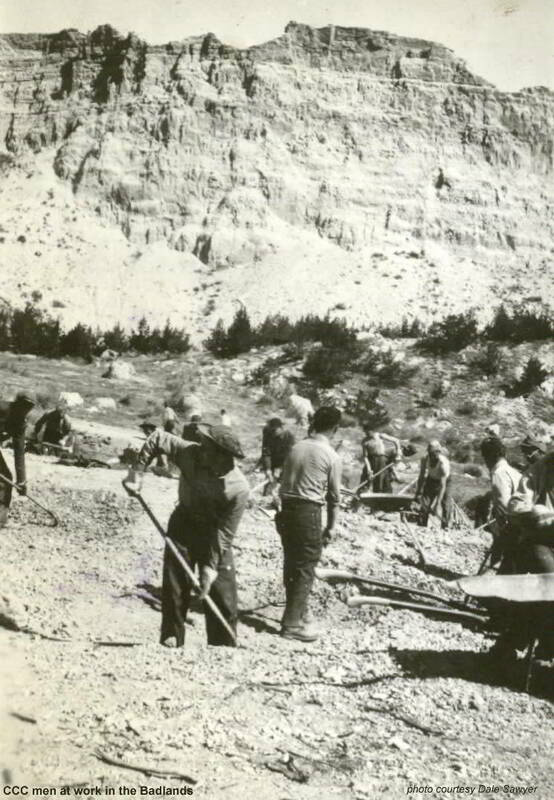 South Dakota Civilian Conservation Corps (CCC) camp near Interior, SD south of Cedar Pass. 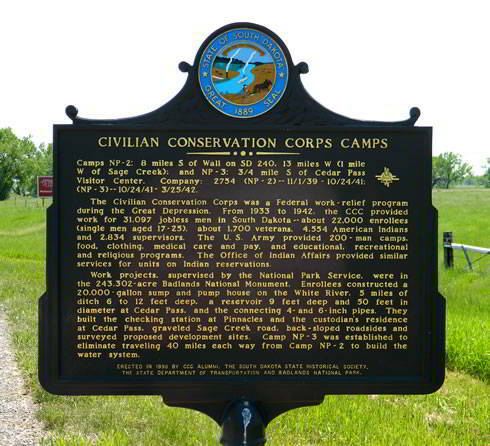 The camp was originally located 16-20 miles SW of Wall South Dakota. 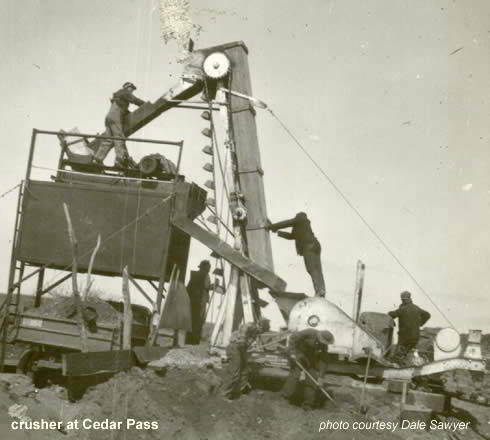 It was moved to south of Cedar Pass near the town of Interior. April 1941 the Windjammer, camp paper reported "With the end of the enrollment period in March, 60 men decided to leave the CCC. Some left because they were needed at home, others because they had stayed their total enrollment of 2 years, and others to take positions in civilian life. . . . So far 16 new men have enrolled - all from North Dakota. The Company strength is now 116." In another article it reported that "16 is a far cry from the number needed to bring the company to full strength. . . . The men came from southeastern North Dakota counties of Griggs, Lamoure and Barnes." 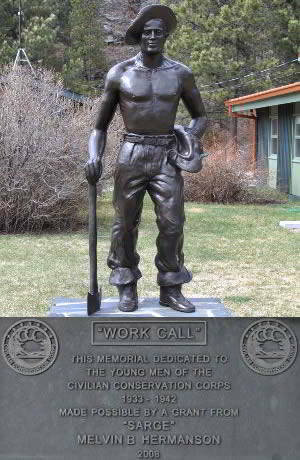 Four had been in the CCC before--one in Company 762 for 6 months at Custer, SD, and three for a year in Minnesota. The waypoint marker is actually South of I-90, Exit 131 on Highway 240. The paper also reported that 600 people had attended open house in "the camp situation on the edge of the colorful badlands" on March 30. There were 124 cars and some trucks parked north of the camp. Visitors were led on tours by leaders and assistant leaders. High school bands from Wall and Philip played, and a lunch was served in the mess hall. The paper also carried advertisement for the new "spruce green uniforms for CCC administrative personnel." 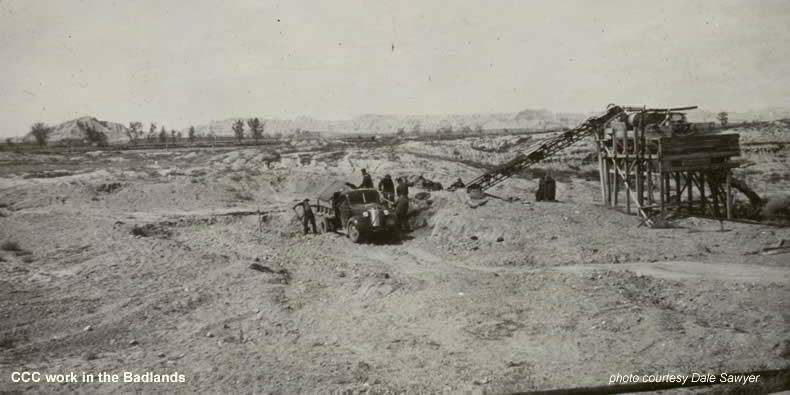 The company was encamped near the town of Interior during the summer of 1941 and therefore was not demobilized at least until fall of 1941.